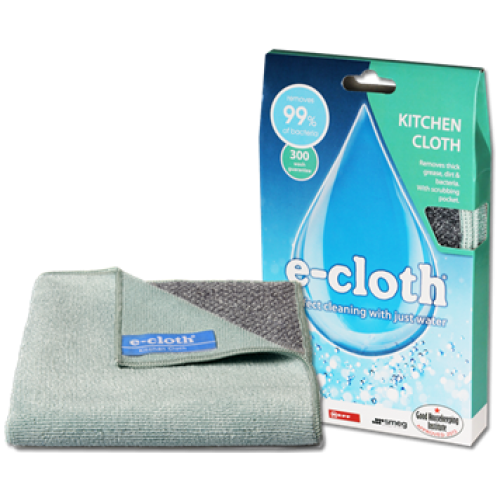 The E-Cloth Kitchen Cloth is perfect for cleaning with just water. 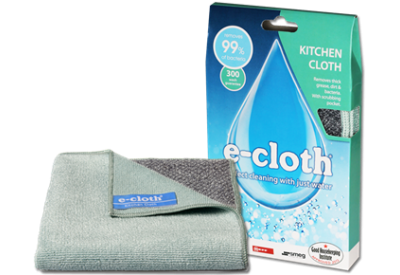 The e-cloth removes thick grease, dirt and bacteria and comes with a scrubbing pocket. The Kitchen Cloth loosens and removes thick grease, dirt and bacteria, using just water. Using e-cloths with just water reduces the need for chemicals, which can have harmful effects, especially on mothers and babies and those who suffer from allergies, asthma and chemical sensitivities.